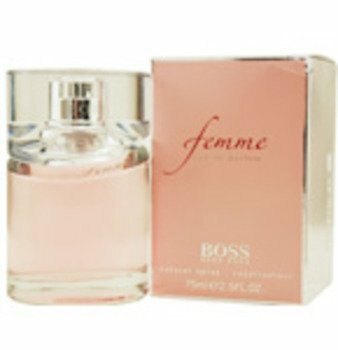 Boss Femme, the new interpretation of femininity, is a floral sheer oriental fragrance that represents ultra feminine beauty. Complimentary ingredients form a radiant cloud of sophisticated femininity. The fresh citrus tangerine note lifts the emotions, preparing the senses for the floral bouquet. The freesia note carries the luminous scent of stephanotis and oriental lilly. These notes are further heightened by rose petals for a radiating floral aura of utmost femininity. Fortification of the aura with a creamy musk-like accord gives the scent a silky-smooth finish.